Much of what we use in our work world today began with the use of simple machines. These simple machines use human energy and single forces to more easily perform work that is otherwise very difficult. 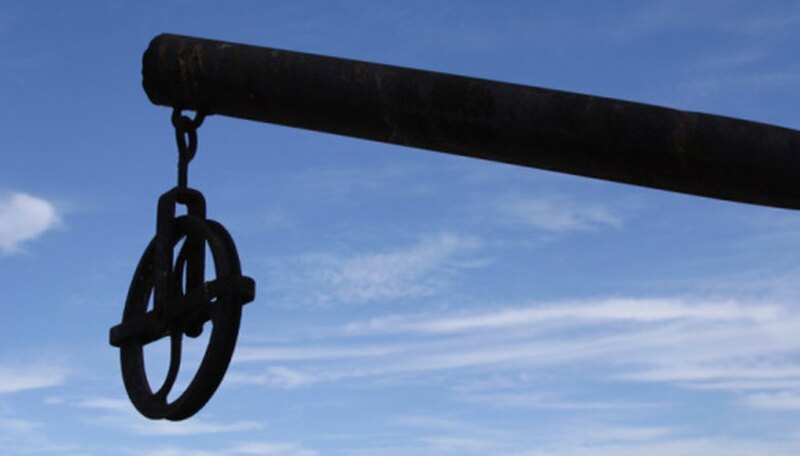 In today’s world, human energy has been replaced by more elaborate machines that are powered by energy from coal, natural gas, oil and nuclear power, but simple machines still play an important role. The simplest of lever projects is composed of a lever and a fulcrum. The project will demonstrate that the closer the fulcrum is placed to the object that is being moved, the easier it will be to move the object because it will take less force. There are several classes of levers. An example of a first-class lever project is a teeter totter where two objects are lifted, one on each end. A second-class lever project is a door swinging on hinges. The object that is to be moved is directly between the fulcrum and the force. A third-class lever could be a baseball bat where the load is one end of the bat, the fulcrum is the end of the bat and the hands are the force. Although the teeter totter and door are on the larger side, scaled-down examples can be made for science fair projects. The wedge shows how a simple machine can change the direction of force. An example of this is a simple axe. Since a wedge is like an inclined plane, the axe mimics this plane and serves as a wedge. The force of the axe or wedge causes horizontal force to the object that is being struck, forcing the object to split into two. The smaller the wedge, the greater amount of force that is required. On a smaller scale, and perhaps more appropriate for a science fair, a chisel works in the same way. Use caution during such projects. Pulleys allow for lifting of heavy objects with less effort by exchanging force for distance. When using a pulley, a rope or cord gets wrapped around a wheel. The wheel is mounted to a sturdy beam or other secure object. 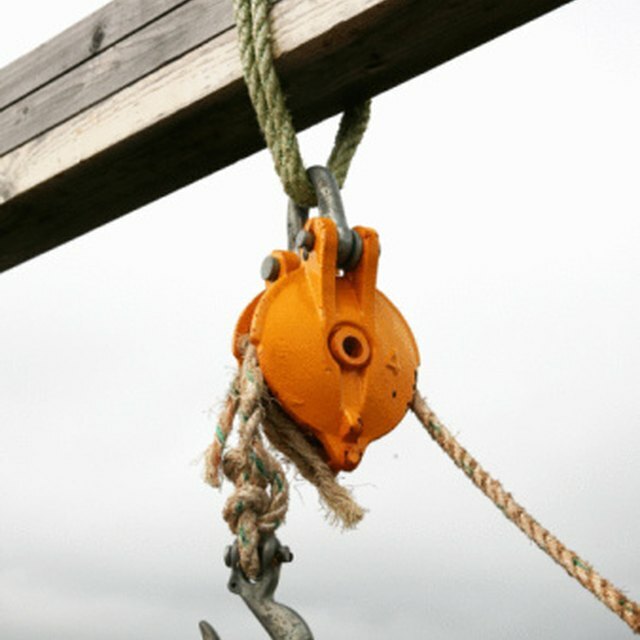 A hook is attached to one end of the rope to secure the object that is to be lifted. The other end of the rope is then pulled to lift the object. It is then demonstrated the amount of force that is needed to lift the object without the pulley, and then demonstrating the ease of lifting the same object with the pulley system. These projects all are example of simple machines. There are several more simple machines that include the wheel and axle, the inclined plane, and the screw. The wheel and axle consists of a wheel with a handle that is attached to an axle with a rope. Turning the wheel wraps the rope around the axle to move an object with ease. The inclined plane is a sloped surface or ramp that allows for ease in moving an object higher. A screw is a long, spiraling inclined plane. An example of a screw in use as a simple machine is that of worm gears that can decrease the speed of an engine while increasing torque. Hineman, Geoff. "Science Fair Projects on Levers, Wedges & Pulleys." Sciencing, https://sciencing.com/science-projects-levers-wedges-pulleys-8666886.html. 24 April 2017.